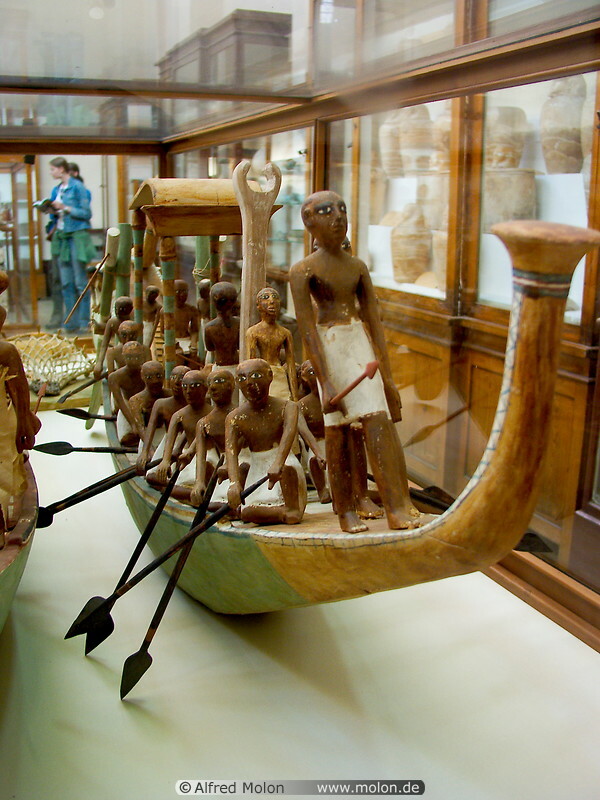 Two models of fishing boats especially suites for the use in marches, made of bundles of papyrus stems bound together at frequent intervals. Between them, a net held by three men on each boat, is kept open with the help of eight floats and seven sinkers. The fish laid on the deck and those in the net can be identified as well-known types of Nile fish. 11th dynasty - Luxor. Tomb of Meket-re, south of Deir el Bahari.